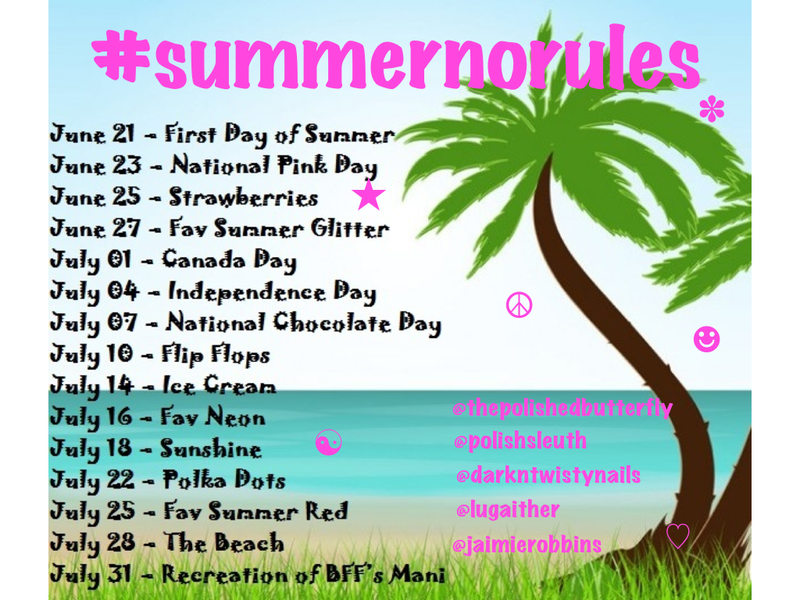 I can't believe this is the last day for #SUMMERNORULES... I had so much fun and am a little sad it's over. But there's still 1 mani left! The last theme is recreation of BFF's mani and although I feel like a 12 year old when using the phrase BFF, I do like this theme. My only problem is that my BFF (seriously, can't use that word without giggling a little) does have the same obsession with polish as I do, her stash is almost as big as mine, but she doesn't do nail art. So I could paint my nails a nice color and say voila! but that feels a lot like cheating and I don't want to do that for this last day. So I gave her a little nudge, saying her mani really could use some nail art to spice it up a little and she gave me dots! Yeah for dots, I'm just happy she didn't go for striping tape (yikes!). 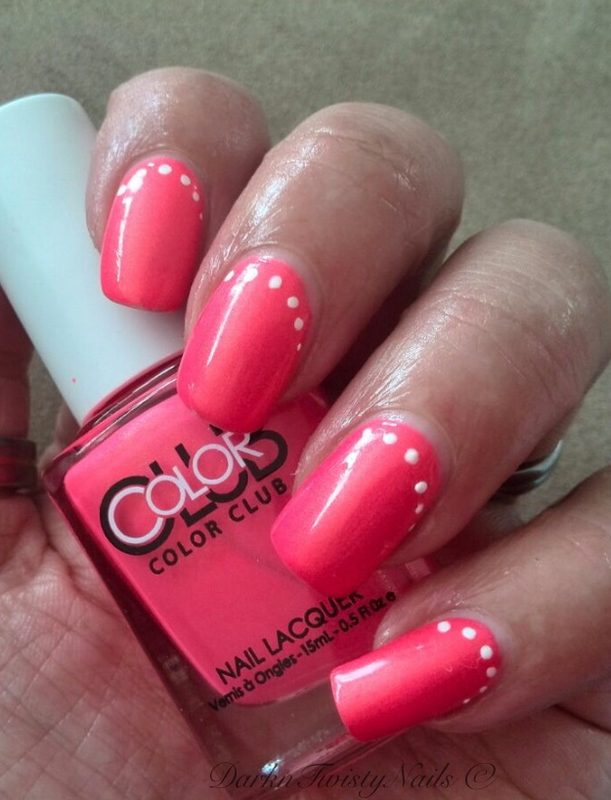 As a base, she used a totally stunning polish, Color Club Peace, Love & Polish. Can we just pause for a minute and take a look at this beauty? 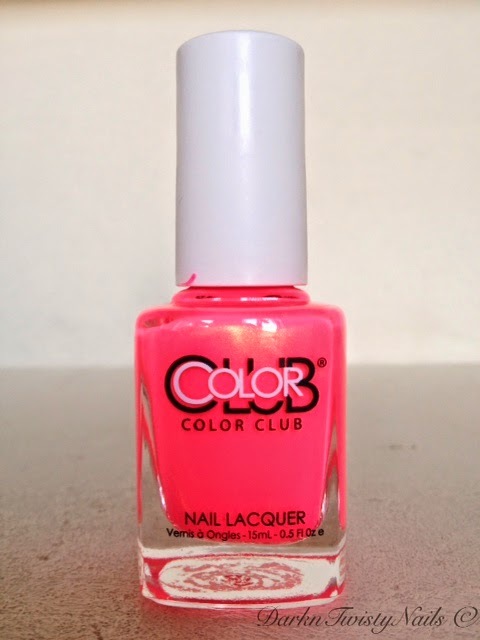 Gorgeous neon pink with a heavy golden shimmer that makes this polish look almost coral on the nail with a pretty amazing formula for a neon. Only 2 easy coats for full opacity and it dries fast. Love, love, love it! 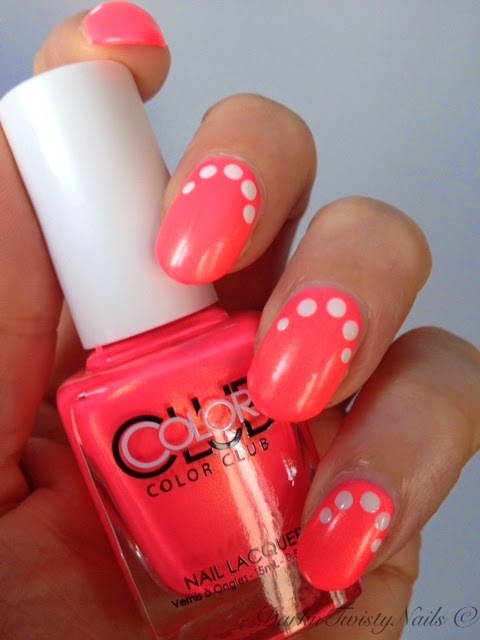 As for the nail art, Fleur added some really dainty white dots around the cuticle. Simple, fun and easy but so cute. I did the same thing, but the first dot turned out a little big, so instead of dainty dots, I have big ol' blobs. But hey, go big or go home, right? Don't you just love her nails? She's lucky enough to have strong, gorgeous nails with incredibly white tips. I'm not complaining about my nails, they are strong and healthy and almost never break, but I do wish my nails had a bit more of her lovely shape. 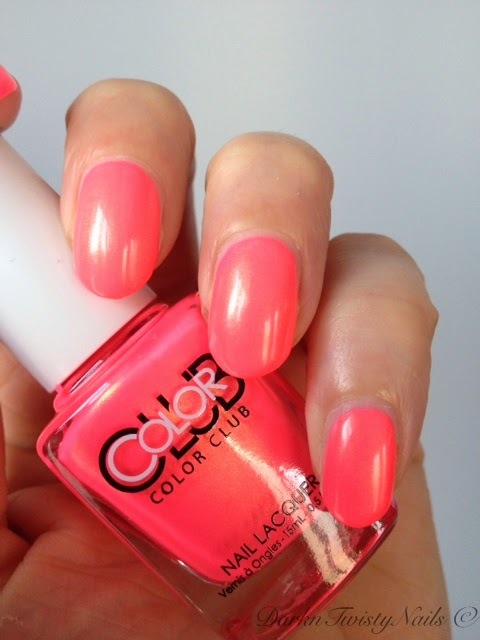 Does your BFF love polish as much as you do and do you rock nail art? Erg leuk! Lekker simpel, niet zo druk, i like! Thanks, soms is een simpele art het mooiste! Vind het een prachtige zomerse kleur! Wow, die kleur! Die stippen staan er erg leuk bij. Het is echt een super lakje! Lovely! I say she needs to do more nail art!! I love your recreation, great job! One of my besties does awesome nail art and loves polish as much as I do, the other doesn't have many colors, but her collection just expanded-I'll make her an addict one day!!! I'll give her the message, I totally agree! Lol, bring her over to the dark side! Dank je, ik vind hem ook ontzettend gaaf! Yeah I guess BFF is a tad childish...lol I love Peace, Love and Polish, looks beautiful on you! But the fact that it is a bit childish makes it extra fun! I feel like a carefree 12 year-old!